FrostSEO cordially invites all online content manufacturers to a business-to-business cooperation. We can provide you the best SEO services available on the market. You and your customers websites will appear high in Google search results. This is a Circle of Win for everyone involved, thanks to great discounts and lucrative commisions. At FrostSEO, we have two models for b2b cooperation: Partner & Outsource. Web Agency has customers, who wish to benefit from SEO services. The Agency forwards them to FrostSEO, where they sign up for a service directly with us. 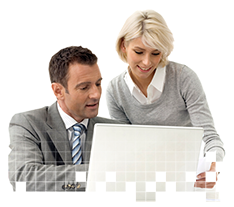 FrostSEO processes all the paperwork involved (invoices, agreements) directly with the customer. For all the eligible invoices paid by the customers, Agency receives a commission, paid by FrostSEO, for as long as the service remains active. Also known as the Whitelabel Model: Web Agency requests an SEO service on behalf of their customers. In this model, the Agency is FrostSEO's service recipient. All the paperwork related to the service (invoices, agreements) is being handled only between FrostSEO And the Agency. We stay out of any dialogue with the customers, who are in direct business relation only with the Agency.